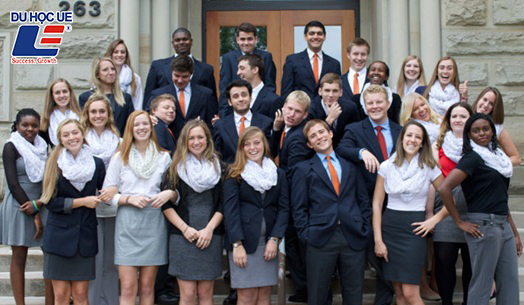 Hope College provides world-class academic experience and facilities in a safe and supportive community. The school is located in Holland, Michigan, which is one of the safest cities in the United States. - Top # 40 schools are listed in a well-known book called "Colleges That Change Lives." Hope is also nationally recognized for its college research opportunities, helping 93% of 2016 students enroll in either the first or second grade or professional schools. - Top # 1 College of Social Sciences in Michigan, and # 63 in the US according to the Niche College Rankings. - Top 5 secure environment # 5 in the Forbe ranking. - 95% of Hope's students successfully apply for postgraduate study from the first or second aspirations. - Individual focus - Student and teacher ratio is 11: 1. - The learning environment is full of encouragement and support. - With an area of ​​3,450 hectares, Hope provides sufficient space for students to easily access diverse activities and programs. With over 80 majors and more than 300 faculties, Hope offers a wide variety of options for students. - Hope's 11: 1 student rate ensures that Hope's students are always interested. Holland, Michigan has been recognized as one of the most beautiful, friendly and safest mid-sized cities in the United States. Thanks to the great positive relationship between Hope and the community, many leaders are Hope's students. In addition, many local businesses also provide Hope's internships or student internships. The community life in Hope is quite dynamic and provides students with a strong sense of community. 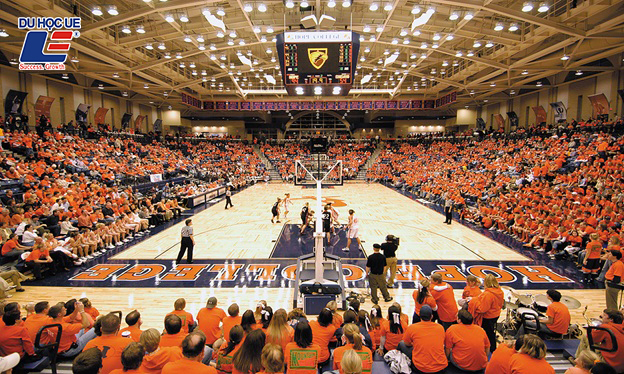 Events such as The Pull, Nykerk, and Dance Marathon are attended by the majority of students, faculty and staff. Loren Pope (author of Colleges That Change Lives) stated, "Many students come to Hope for a special blend of academic rigor, religious life ... and research programs. its size ". Many large companies are recruiting and interviewing students. The school has a separate website where the student will post information and placement so students can catch up. Students can then apply for positions they want for internships or work in the future. As for the opportunity to work in the school, quite a lot of jobs for students as well as international students if you grasp opportunities and apply for jobs. The school has a lot of activities for students to attend. The school's oldest activities are Pull and Nykerk, both competing between Odd year and Even year. Pull is the drag for the son. Men will be selected to join the tug and practice with intensity within a month. The day between two teams dragged in two to three hours, very tense and stressful. Nykerk is a traditional activity for women, which is the singing of the drama. Similar to pull, the female participants also have to train with intensity in a month before the performance date. In spite of hard work, you can get acquainted with a lot of friends as well as socialize after school. There are also many other small events taking place during the year. Scholarships: The scholarships of $ 5,000 to $ 22,000 per year for all four years of study will be considered based on average scores and needs.